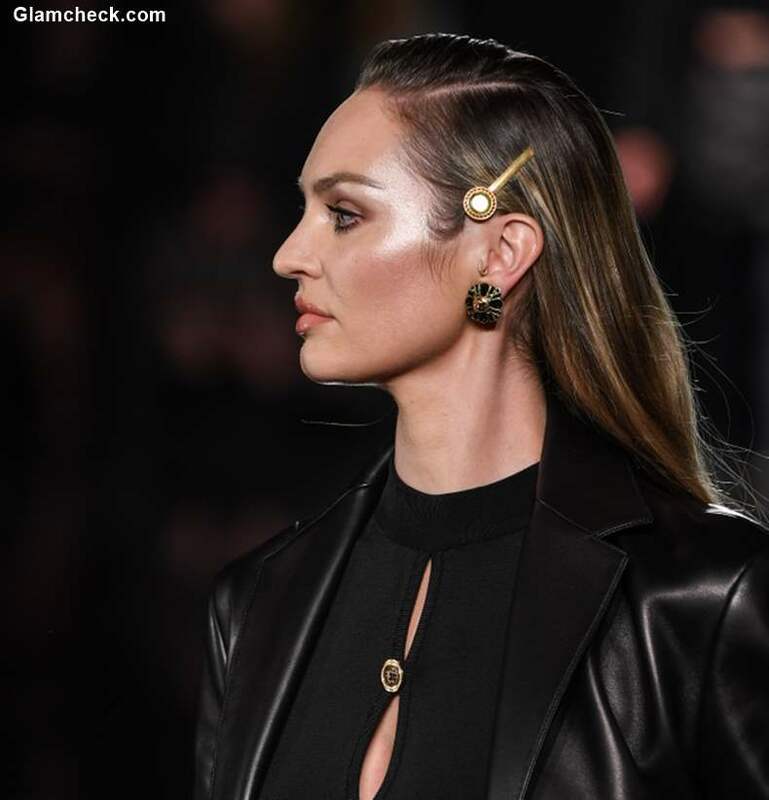 Versace Pre-Fall 2019 collection presented at the American Stock Exchange in New York on 2nd Dec 2018 saw famous supermodels Irina Shayk, Gigi Hadid, Candice Swanepoel, Amber Valletta, Hailey Baldwin, Kaia Gerber and more walk down the runway in glossy and high glamour pieces. The show also included a small men’s capsule. The Versace Pre-Fall 2019 collection was all about funky street inspired looks in bright yellows, blacks, gold prints, star motifs and animal prints on tops, skirts, party dresses and leggings. 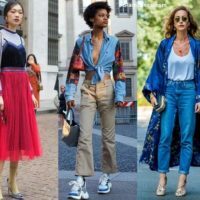 The pieces were accessorized with funky sneakers, cool t-shirts and statement jewelries in gold. 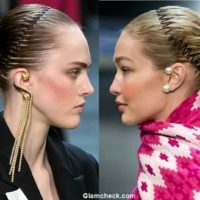 Let’s have a look at some of the pieces from the runway. 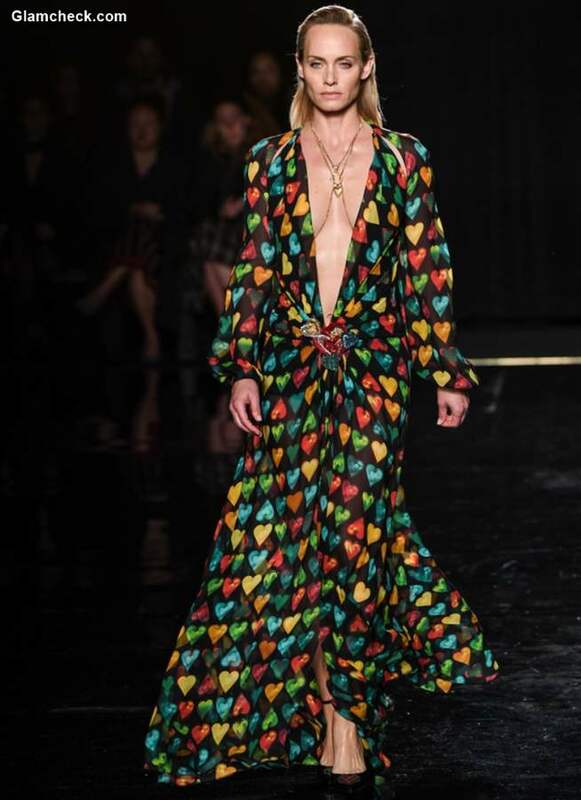 Amber Valletta walked down the runway in Versace Pre-Fall 2019 sheer barely-there gown featuring multi-color heart print and a plunging neckline that runs below her belly-button. The dress is cinched to waist with heart shaped applique buttons. 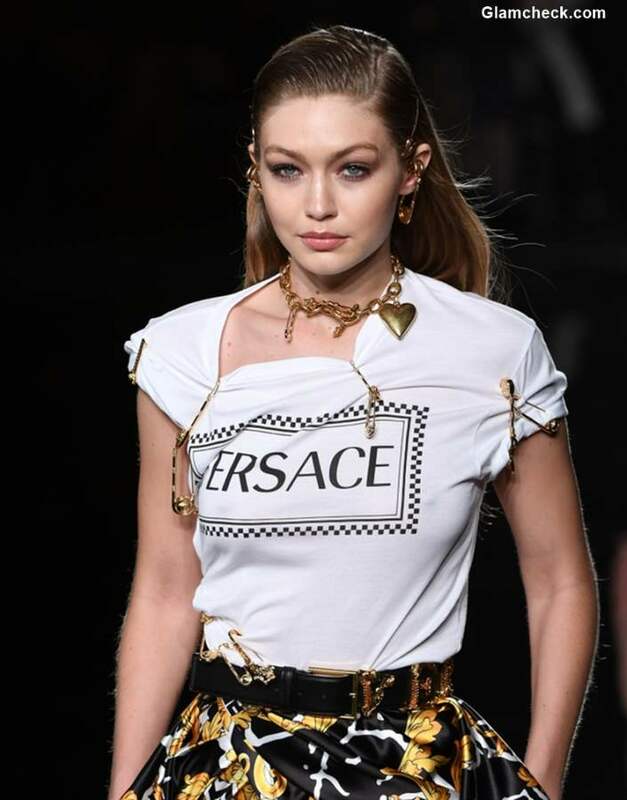 Gigi Hadid wore a white Versace logo print t-shirt paired with a black, white and golden mixed-print high-low skirt , matching sneakers and chunky jewelry. 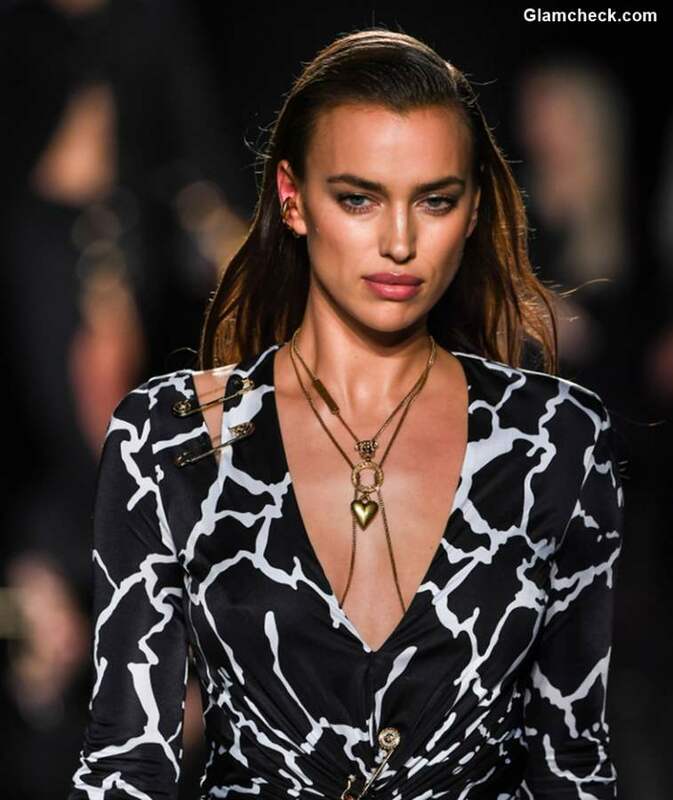 Irina Shayk walked the ramp in Versace black-and-white abstract zebra print 2-piece ensemble that featured a plunging neckline and thigh-high split. Hailey Baldwin was seen in an abstract zebra print mini-dress featuring an off-shoulder neckline. A pair of matching socks and pumps and earrings were the only accessories. Kaia Gerber walked down the ramp in a sensual yet polished number. 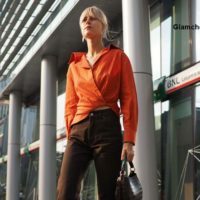 The outfit comprised of a brown silk draped skirt paired with a shiny chocolate patent leather jacket worn over a turtleneck mohair crop top with matching knee-length boots. Candice Swanepoel wowed in an all black ensemble from Versace Pre-Fall 2019 collection. 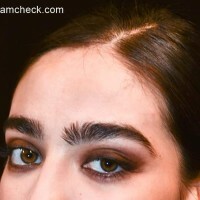 A very slicked and polish look.